Web conferences are a great way to improve efficiency within your business, saving both time and money, but unless they're managed effectively you won't receive the full benefits they can bring. This can be especially difficult when there are many stakeholders present. 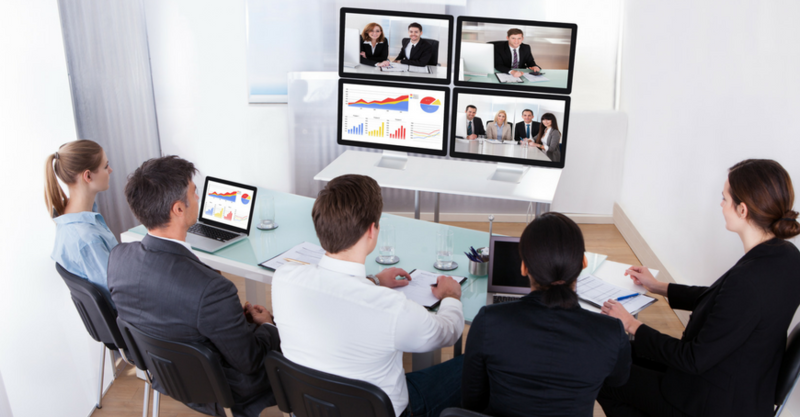 Here are five ways to ensure you can manage a large web conference effectively. Before the web conference, take some time to analyse your stakeholders. Each one will bring their own needs and preferences to the table, so getting a clear idea about these will give you a head start. Be careful not to make any assumptions as you do this. 1. Low interest, low influence - these stakeholders are unlikely to play an active role in the meeting, but need to stay informed. 2. High interest, low influence - you will need to involve and consult with these stakeholders. 3. Low interest, high influence - this group of stakeholders are particularly powerful, so you should ensure you engage with them. 4. High interest, high influence - these stakeholders are likely to be the most active. You should collaborate with them and value their input throughout. You should know exactly what you want to achieve from the web conference before it takes place. If you don't, you'll find it increasingly difficult to manage your stakeholders and stay on track. When you, and the rest of the stakeholders, know what you're there to achieve, it's much easier to bring the discussion back to the relevant points and park any irrelevant discussions for later. Organising this before the meeting will ensure appropriate and clear actions can be assigned at the end of the call. If you do all of the above but don't communicate it with your stakeholders, it will eat into the time you've allocated for the web conference. Send the agenda well in advance of the meeting, so all stakeholders know exactly what to expect. This allows them to prepare any contribution or questions before the meeting and also provides a reference point to keep you on track during the call. You can become a web conferencing expert in only 15 minutes with our web conferencing demonstration.